5 new Distributors sponsored in an open group will create 5000 team volume and a good Executive Team. 10 new Distributors sponsored in an open group will create 10,000 team volume and put a bonus car in the garage. 15 new Distributors sponsored in an open group will create 15,000 team volume and get a team pointed towards Eagles Nest. 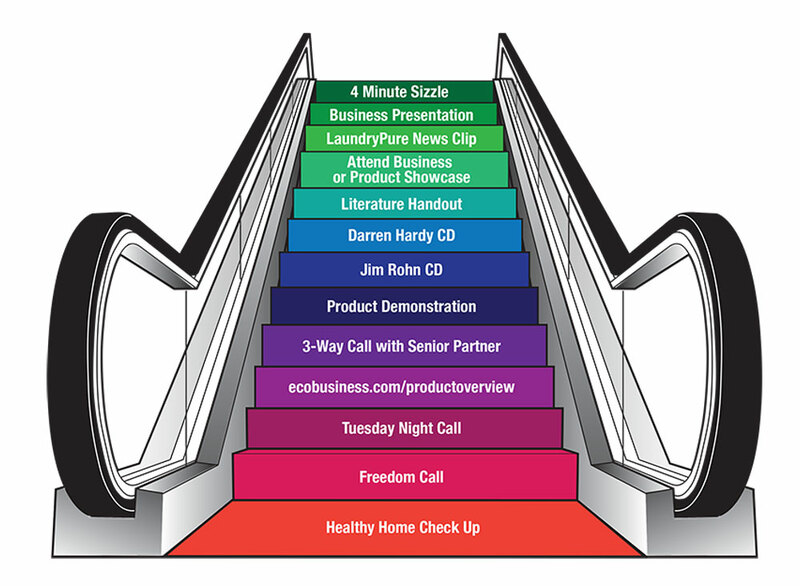 Consider Babysteps kind of like an escalator to a successful sponsoring process. Remember, sponsoring is never an event and is always a process. The Direct Selling Association tells us it generally takes up to 8 touches for a prospect to trust the relationship. It is a big deal for most folks to make a decision to buy or join. Our job is to make them comfortable and then fulfill our obligations as a sponsor. It does not really matter what steps we begin with or end with. I have the Healthy Home Check Up listed first simply because this step creates tons of interest in both our business opportunity and our product line up. Start where you are comfortable. Use the Baby Steps tracker (download) to keep track of the steps you have taken with a prospect and have lots of fun and success building a team in 2016!